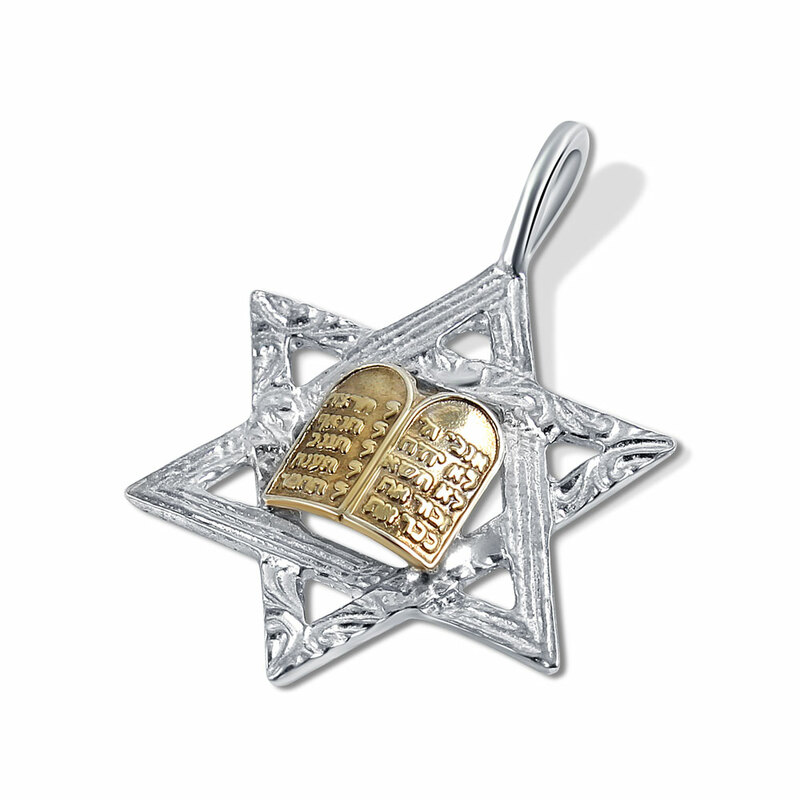 Sterling Silver Star of David Pendant with Gold plated 10 Commandments. A symbolic traditional choice. Measures 23mm H x 16mm W (.91 x .63 inch), (including the hanging loop).